A few years after Chuck Colson became a Christian, he realized that the more he learned about God's love for him, the more he wanted to know how to love God. This book is the masterpiece Colson wrote after searching Scripture, history, and his own difficult experiences to answer his deepest question. He discovered that loving God is obeying God-rarely easy, sometimes inconvenient, often painful, and entirely satisfying. When we love God, we know the pleasure of living out our true calling. 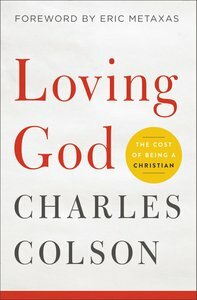 About "Loving God: The Cost of Being a Christian"